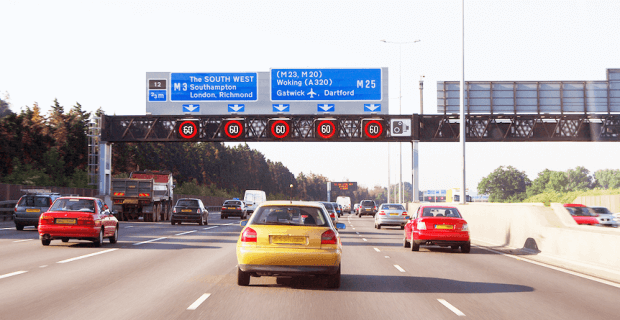 Home / Young Drivers Insurance / What is a smart motorway? 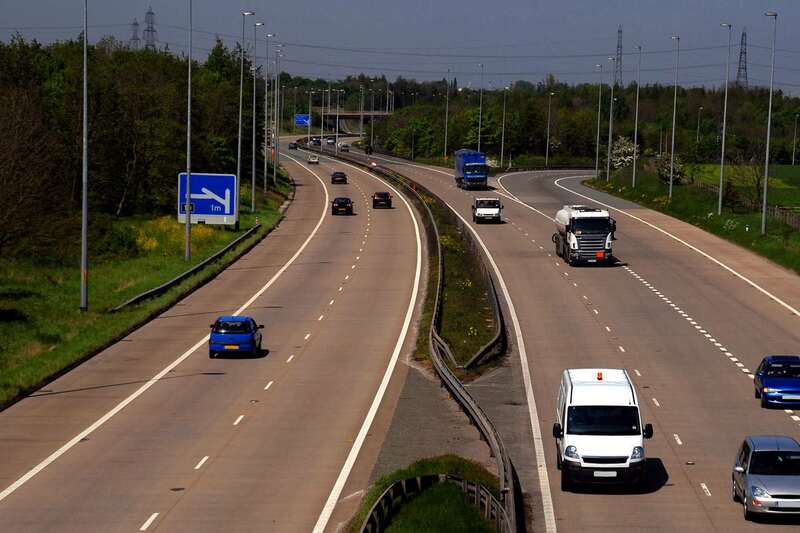 Previously known as ‘managed motorways’, smart motorways are sections of motorway that use a combination of variable speed limits and hard shoulder running at busy times, to increase road capacity and traffic flow. As a driver, you're hopefully aware that the speed limit on UK motorways is 70mph. But this might not always be the case on a stretch of smart motorway. Sometimes, to keep traffic flowing safely and smoothly, motorway speeds are managed by overhead signs. When everything's running as it should be, these electronic signs are switched off but if there's disruption, the signs can direct drivers to reduce the speed of their vehicles. For example, if weather conditions are dangerous, smart motorway signs may change the speed limit to 50mph. The overhead signs can also indicate if a lane has been closed. A red cross states that drivers should stop using that particular lane and move over into one that's still open. A lane is usually closed if there is an obstruction ahead, like debris from a collision. Sometimes, to ease congestion caused by lane closure, electronic signs can let drivers know that they can use the hard shoulder as an additional lane. In addition to smoother traffic flows and reduced congestion, other benefits to active traffic management include more dependable journey times, fewer collisions, reduced noise pollution and harmful vehicle emissions. The Highways Agency website provides more information about which symbols are used on smart motorways and what they mean. Click here to find out more. Some drivers might not be happy to be slowed down on the motorway; but speed restrictions are always in place to benefit motorists, either by keeping traffic moving or by preventing accidents. In 2011 the Highways Agency published a three-year safety report which showed how safety had improved since the installation of the electronic overhead signs. In those three years, the number of injuries sustained in road accidents reduced by 55.7%. What do smart motorways and insurethebox car insurance have in common? They both aim to keep you safe on the road. We use telematics technology to offer new drivers affordable car insurance, help them improve their driving and potentially assist in receiving medical attention following a traffic accident with our Accident Alert service.